So you’ve just passed your real estate salesperson’s test. Congratulations! Real estate sales can be the most rewarding journey that you’ll ever embark on — or it can also be the biggest cause of stress you can imagine. You’ve got a few upcoming decisions that might define your entire career, so pay attention closely. As a new agent, you’ll have to decide which brokerage is best for you. Most states require new agents to work under an established broker for a minimum time frame (two years in California) before they’re able to get their broker’s license and work alone. 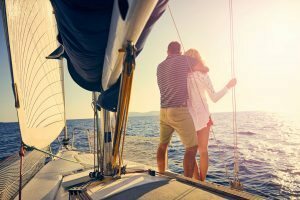 These first two years is also where you’ll learn your craft and, according to the National Association of Realtors, either sink or swim. Over 80% percent of new real estate agents exit the business in their first two years. It’s easy to see why. Real estate is a very “relationship-oriented” business. A good portion of a successful agent’s business comes from past clients and referrals, of which a new agent wouldn’t have. 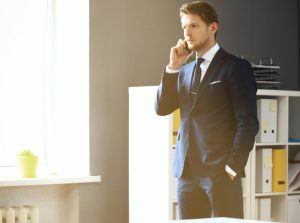 During the first couple of years, new agents have to earn their business through “sweat equity,” which means a lot of cold-calling expireds, door-knocking and open houses. Because these activities are more of a numbers game, they tend to take longer to pay off, and new agents can go months without a commission check. That’s why it’s so important to select the right brokerage from the start. When you’re ready to start working, make sure that you interview with at least two or three different brokerages. Unlike a traditional job environment, where the employer is interviewing you to see if you’re a good fit for them, you should be interviewing the brokerage to see if it’s a good fit for you. This process is where you’ll start discussing commission splits, lead generation options and training support. If you’re starting the brokerage search from scratch, you’ll want to decide whether you’d like to work for one of the national chains (Re/Max, Keller Williams, etc.) or join up with a boutique brokerage (REH, John Hart, PLG, etc) in your local market. The paths are different, and both offer pros and cons. Deciding to hang your license at a national brokerage from the start is a great way to expose yourself to other experienced, successful agents. Most nationals also offer fantastic training classes for new agents. Working with a national brand will also give you some great name recognition that you need because you will not have any experience to lean on. Many national brands also will get new buyer/listing leads simply because of their name, which might be passed on to their agents, as well. 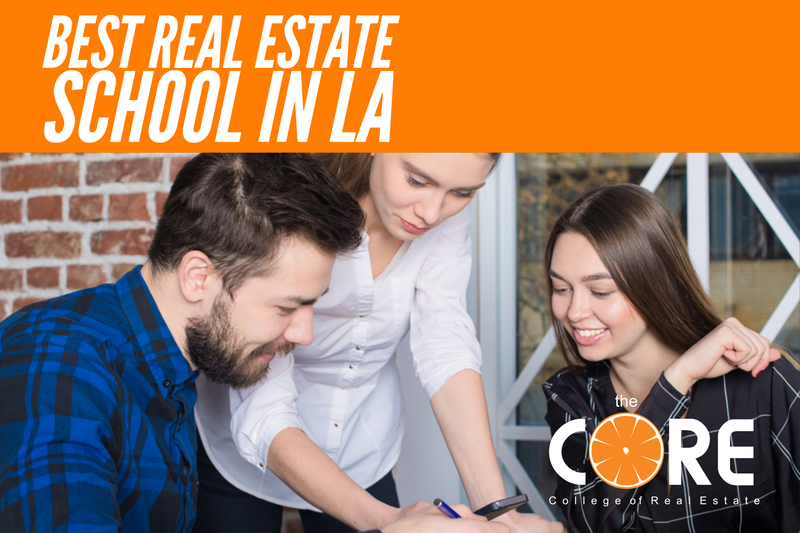 The con to working at a national brokerage from the beginning is that often a new agent will get the initial classroom training, but very little in the way of lead generation and support after that. It’s in the national brokerage’s best interest to bring in as many agents as possible and see who sticks. You might have the option to do floor time (working the front desk hoping for walk-in clients) at your office, but that floor time is generally split among the other multitudes of agents, as well. If you’re a total self-starter and don’t mind the lone wolf approach, a national brokerage might be a great fit for you. If working for one of the nationals doesn’t seem like a good fit, you might consider joining with a local boutique brokerage. Boutique brokerages are usually much smaller offices that specialize in a specific, local market. Due to smaller offices, boutique offices are often a little bit more picky about who they bring on to their team. Generally, you’re going to be working directly with the broker and all of the experienced agents. The level of hands-on, on-the-job training is what will stand out. Because there are fewer agents around, you’ll have a shot at more of the office leads generated, as well. 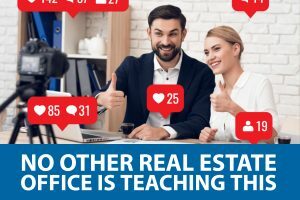 Many boutique brokerages are going to have a tougher time organizing “classroom”-type training classes, which could be a turnoff to some new agents. Also, because the brokerage’s name doesn’t have the branding power of a Re/Max, KW, etc., you might find yourself at a disadvantage to another agent who is working with a big name. I’m sure that the broker at a smaller brokerage has handled that objection multiple times and will have a good strategy to teach you. Many new agents will also opt to join a “team,” in which they will work under a successful agent at either a national chain or a boutique brokerage. They will get a little bit less of a commission split initially in return for some of that successful agent’s buyer, or smaller, leads. Many new agents are focused too much on their “split” when they start out but forget to realize that 100 percent of zero dollars is still zero dollars. No one likes to lose talent, but I can honestly say that I have lost more people who, with the skills we learned together, have been able to branch out on their own, than I have had people who have complained about not learning a single thing while we worked together. Working on a team is a solid way for new agents to pick up leads that they otherwise wouldn’t be able to access. Generally, all of the deals that the new agent does will go under the name of the team leader, which helps the team leader with their marketing. It’s a great way for new agents to start making money sooner, but they’ll be giving up their name recognition during this time, which is important to establishing themselves later on. No matter which route that you choose, be ready to work hard. Many new agents will work a second job during their first year or two to help make ends meet. Like any other professional job, if you’re willing to put in the sweat equity in the early stages, you’ll be rewarded with a long and successful career down the line.